2 Comments on What’s In Your Bag? 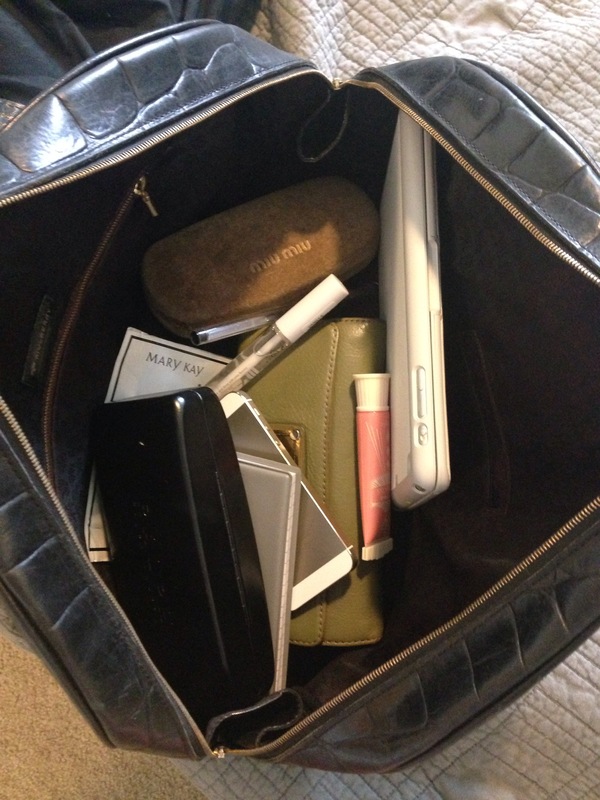 I’m always fascinated by articles finding out what’s in girls bags! I think it’s mainly because I travel light and barely remember to take my day to day needed tools – my brain wouldn’t be able to cope with added extras! Here is my ‘work’ Black Mulberry Congo bag (one of my best buys years ago on eBay nearly brand new cost a fraction of the price) filled with work goodies! Before I go on I might add I always have hand cream, solid perfume and lip salve on my desk! Can’t be without products. 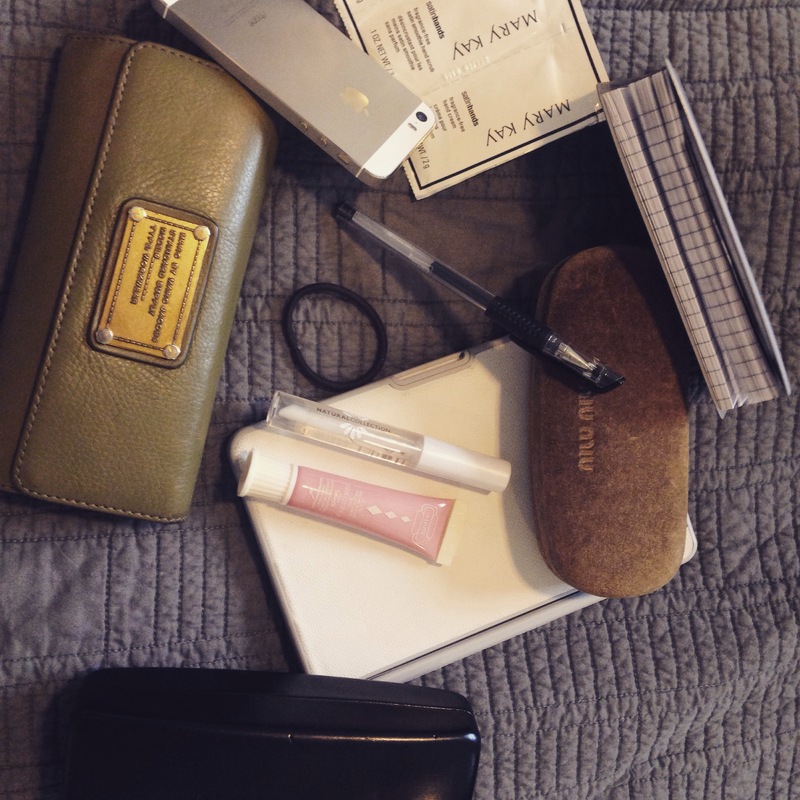 I have my IPad mini helpful when on the move and updating blog or taking notes! My iPhone (seeing a trend?!) where would I be without it?! My Marc Jacobs khaki purse (nearly 4 years and going strong!!! A true classic style) lip gloss, note book and pen (in forever jotting down bits of information especially with job) sunglasses, hair bobble (always good to have emergency one) and glasses (helps to see!!!) and of course hand cream!!! Now I’ve told you mine I wanna know what you carry around with you…!!! Some of my friends have Mary poppkins bags that are never ending with make up bags, sewing kits snacks! !